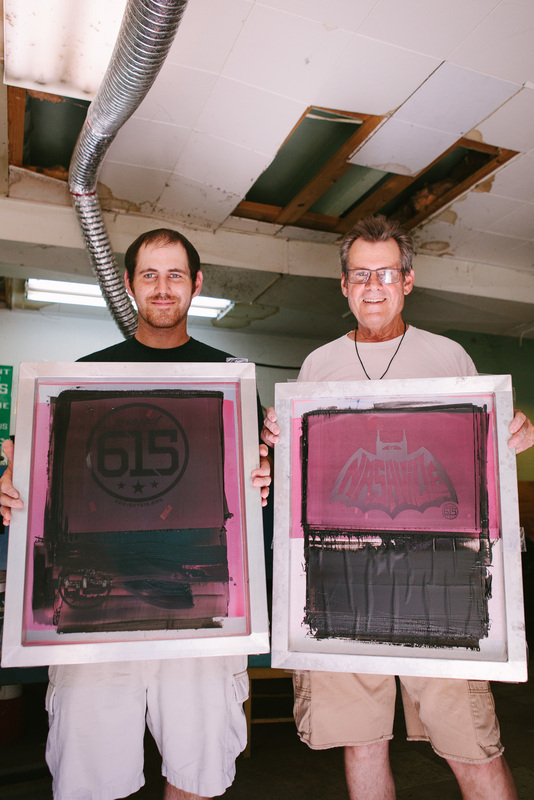 Man from Set Free Ministries screen printing in Project 615. Be sure to check them out and buy a shirt and wear it proudly. Proudly holding two well known screen designs for Project 615. Set Free Ministries church service in East Nashville, TN. Set Free Ministries in East Nashville is home to roughly 40 homeless men. All with different backgrounds, stories, and personal struggles. Set Free Ministries gives them shelter, food, and purpose. They have bible studies every day multiple times. They live together, study together, and work together. The Wednesday I came to attend their church service I ran into David. Super nice guy, with probably one of the coolest mustaches I’ve ever seen in my entire life. I asked him how he was, I think his answer was “Blessed and forgiven.” David was kind of the go to guy from what I saw while church was in service. He for sure had way more energy than I did, even though I had previously just downed two cups of coffee at Ugly Mugs. I didn’t get to hear much of his story since he seemed to have responsibilities while service was driving on. I also met a guy named Keith who lives and has gone through the rehabilitation program at Set Free Ministries. He is also the new preacher at the church. Had a beautiful message about salvation and the power of Jesus. I love how he pushed and challenged everyone to grow and persist in their walk.